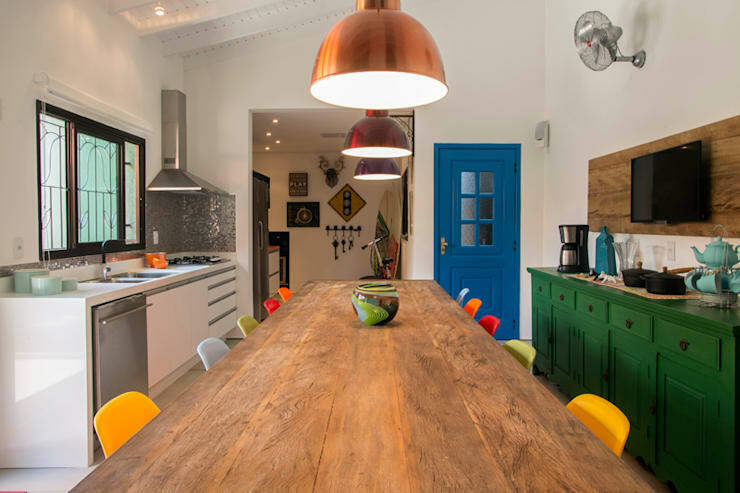 There is something absolutely family friendly about the feeling of a stunning rustic kitchen, from the warmth of the wooden cabinets to the authentic colour scheme as well as the use of natural materials that add to the sensational design. Although rustic kitchens are most commonly found in cottages, cabins or the countryside, this Ideabook has been compiled to show you that incorporating a rustic style kitchen into your modern home can be classic and tasteful. Create your own cosy kitchen by opting for bricks or ceramics, or how about incorporating some brilliant lighting for an even more warm and welcoming atmosphere. 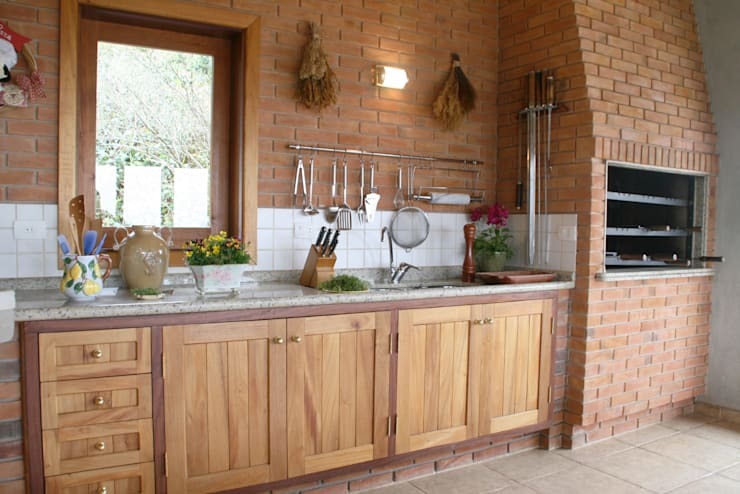 One of the easiest ways to add some rustic elements in your kitchen is by opting for natural, good quality materials. This includes exposed brick walls, wooden cabinets, granite countertops and even concrete or stone flooring. Consider an easy to maintain and elegant design that will make your kitchen look comfortable and spacious too. 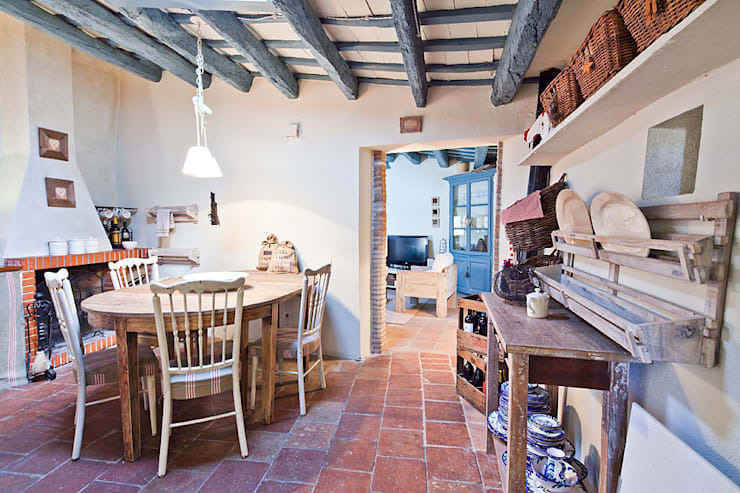 A rustic kitchen needs to have a large and welcoming area for family style dining. This means that a wooden table with ample seating would be a fascinating choice for a classic décor. Wooden chairs are the ideal choice for this setting, and by adding some cushions, your wooden chairs will be comfortable too. Complementary accessories are a great way of making your kitchen a perfectly traditional space. 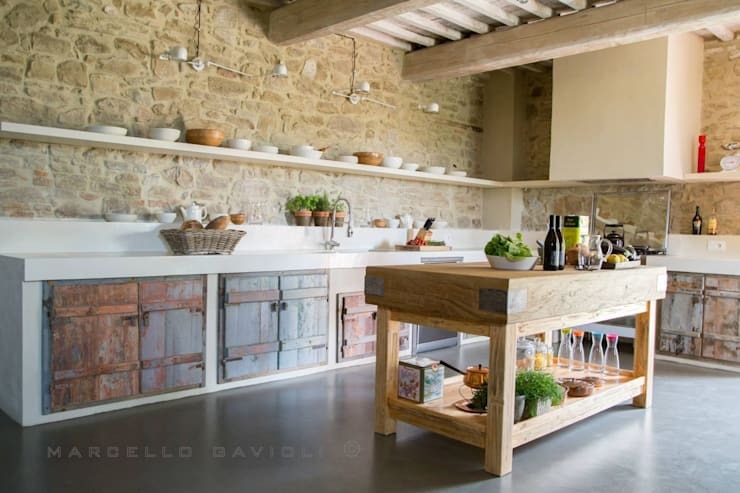 Wooden countertops are definitely a top choice to add a sensational rustic element to your home, creating a functional and attractive traditional décor that is authentic too. This countertop choice is perfect if you’re on a tight budget and can suit any design. However, contact a professional carpenter to ensure that your countertop is professional quality, durable and easy to maintain. And with so many versatile colours of wood available, there’s definitely something to suit any kitchen design. 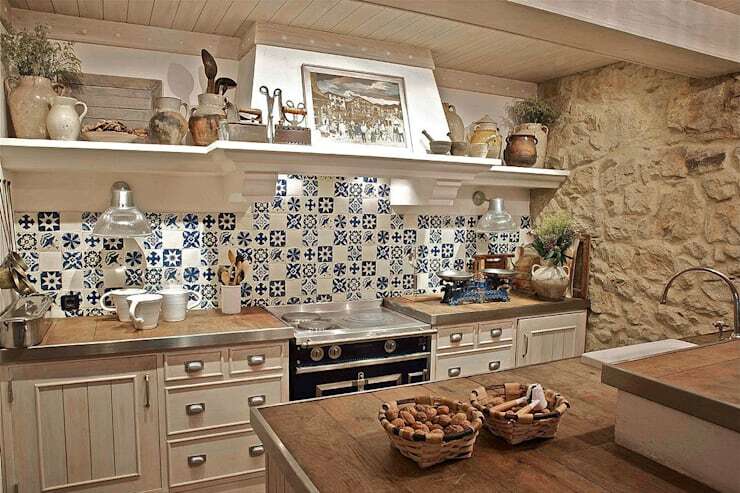 Stone walls are a fantastic and complementary idea for your creative rustic kitchen. It’s decorative, charming and classic in all aspects. If you are going to add stone to your kitchen at a later stage it may be quite costly, however, if your kitchen already has stone walls, then you’re quite lucky as this décor option will remain attractive and elegant for many years to come. Stone walls also makes the perfect accompaniment to other rustic elements, such as wood or even mosaic tiles. While the décor and design of the rustic kitchen is important. Special attention needs to be paid to the other elements that adds sensational style to the space too. This includes the choice of dishes and accessories which will make your rustic design even more amazing. Think about using ceramics that have interesting colours or designs, perhaps an imaginative porcelain dinner set that is charming. Enhance the kitchen by including a stunning rich white tablecloth to the décor and your home will be beautiful. Terracotta flooring is a celebration of true and attractive traditional country charm. What better way to make your home warm and cosy then by including this sensational rustic colour into the décor? It’s strong, durable and easy to maintain too, while also being a versatile choice that adapts to the stone, cement and wood elements too. Not forgetting that terracotta flooring is a budget-friendly décor option too. Here are: 7 rustic yet modern kitchen sinks for your home. 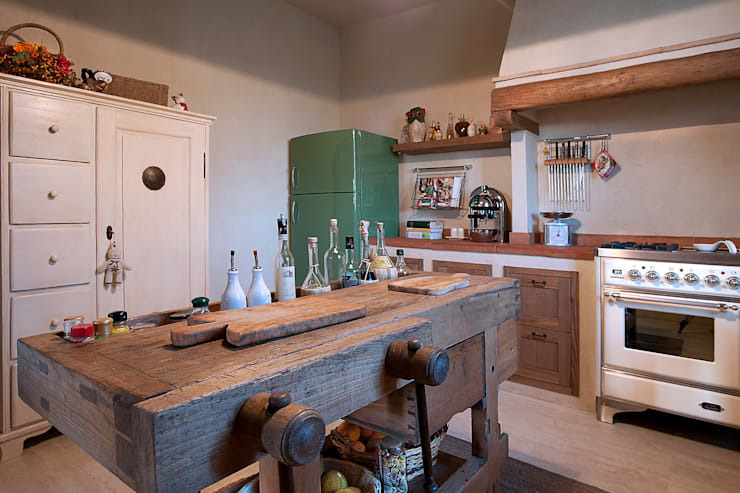 Do you have any rustic elements in your kitchen?